You don’t have to be a mixologist to follow our Mix & Match cocktail guide! You can follow the proportions on our guide and choose a simple syrup, a sprit and a citrus juice to create super simple, delicious cocktail with fresh ingredients. You’ll be amazed at how many different concoctions there are for shaking up a lovely drink. And yes, they all turn out delicious!! One of my favorites is tequila, grapefruit juice and jalapeño simple syrup! But that would also work with gin or vodka too! 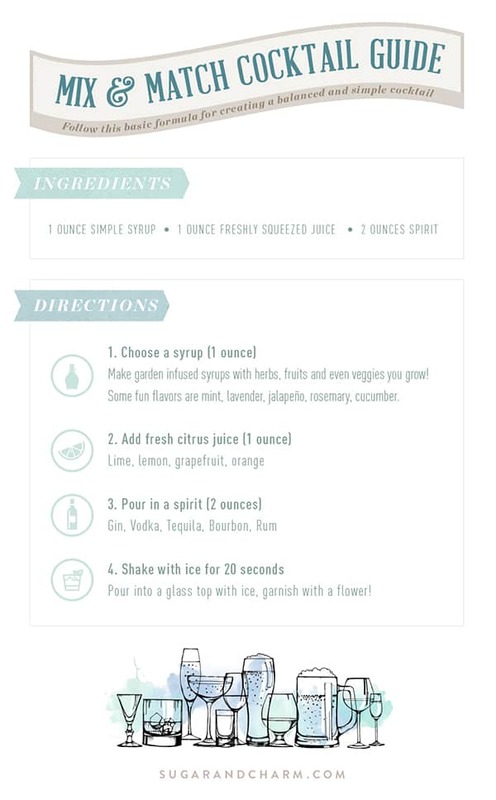 Print our Mix & Match Cocktail Guide here, tape it in your bar or use it for your next party!